It’s summer! Yay! When you’re biking, boating, picnicking, strolling, swimming, yachting, running, and lounging poolside, reach for these excellent sunscreens (and after-sun skin-soother) to stay safe and protected. HINT has summer covered for you with both Hint Sunscreen Spray and Hint Water, both healthy and natural. 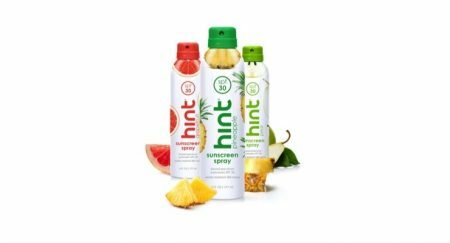 The new Hint sunscreens come in Pineapple, Pear, and Grapefruit scents, smell amazing, provide broad spectrum SPF 30, and water resistance. Containing aloe leaf juice, fruit extract, and pongamia glabra seed oil (no oxybenzone or parabens! ), these wonder sprays last 80 minutes for days of sun-drenched fun. Pack them in your beach bag, along with Hint Water, which provides sugar-free, thirst-slaking goodness. Read more and order up at https://www.drinkhint.com. 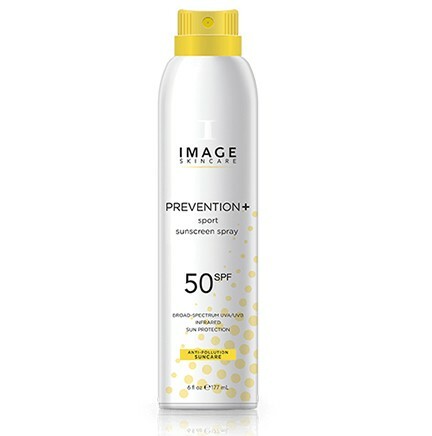 Image Skincare’s PREVENTION + pure mineral sunscreen spray is a spray-on for hard-to-reach areas, and provides 30+SPF and broad-spectrum UVA/UVB, infrared sun protection. Ultra-effective Zinc Oxide 15% provides the sunscreen, and Image is infused with antioxidants and plant stem cells to hydrate. Organic agave leaf, jojoba oil, and sweet almond oil seals the deal! This anti-pollution sunscreen is also weightless, non-greasy, and dreamy. If you work out in the sun, Image also has a SPORT sunscreen that’s 50+SPF. Find them at https://www.imageskincare.com. Korres’ AFTER SUN Greek Yoghurt Cooling Gel for Face and Body is refreshing and soothing after a long day of basking. Savor long-losting relief and freshness with this dermatologically-tested natural cream. Made in Greece, the land of summer skies and sky-blue waters, Korres has been a trusted brand for exquisite skincare products since 1996. Order this at https://www.korres.com. Cheers to summer days and ocean sprays!